The Jelly Jewel is part of the popular “Jelly Series” (glowing transparent housing) from American DJ. It offers two exciting effects in one: a glowing transparent housing, plus 46 red, blue, green and white (RGBW) LED beams of light that can be projected on walls, ceilings or dance floors. The Jelly Jewel is easy to use; just plug it in and watch the beams of light move to the beat of music by way of it’s own built-in programs, plus it’s designed for longevity with no moving parts, a 50,000 hour life rating, low heat output and low power consumption. For maximum effect, use a fog or haze machine so that the beams of light can be seen. 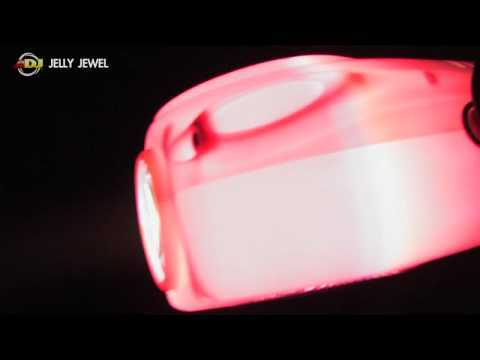 Considering purchasing the American DJ Jelly Jewel LED Moonflower? Have questions? Ask people who've recently bought one. 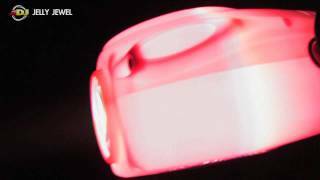 Do you own the American DJ Jelly Jewel LED Moonflower? Why not write a review based on your experience with it. looks good set up on a rig due to the jelly jewel case, however doesnt project very well. Very weak lighting. There are better moonflowers on the market for projection. Does look cool though! Although this is the jelly which do look cool, moonflowers have to be the most overpriced bit of DJ kit ever! Save up and get better stuff for your set up! Seen a video for American DJ Jelly Jewel LED Moonflower online or have you own video? Check out American DJ Jelly Jewel LED Moonflower on DJkit.com!